Nintendo's Super Mario Bros. game Super Mario Run is about to get a major update next week that will include new levels, new gameplay, and add Princess Daisy as a playable character. Super Mario Run was the first time that the Nintendo mascot had ventured away from the Nintendo hardware and on to smart phones, starting with the Apple iPhone. The game followed the enormous success of Pokémon Go, which was the first Nintendo game to make it on to the smart phone market and became an instant worldwide sensation that got players off of the couch and into the community to hunt for fictional monsters. 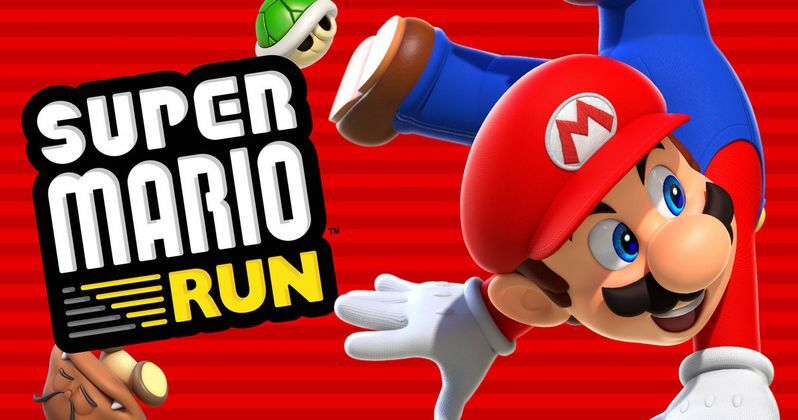 Super Mario Run was met with high anticipation and for the most part, the limited gameplay platform succeeded, but many would-be players balked at the $10 price tag for a game that one could beat in its entirety in a few hours. The game is available for free, but there's only a handful of levels that can be played for free. Though there have been some slight enhancements to the game since its initial release in December, nothing substantial has been added in months, but that's all about to change with a new update that is expected to breathe some much needed new life into the game. Endgadget reports that Nintendo is going to overhaul the game in a major new update starting on September 29th. In addition, the game will be available for half price from the initial update through October 12th. Finally, the game is going to get some much needed variety and a new world. The new world, World Star, will introduce new gameplay elements, which will also include 9 new levels. There were medals that were added to the game earlier this year and now some more medals will arrive, but in rainbow form this time. Player will also get the chance to unlock the playable Princess Daisy character after completing the new Remix 10 feature that will randomly "remix" parts of the original 10 levels for a fast, new gameplay experience. Once Princess Daisy is unlocked, players can take advantage of her double jump feature. To unlock the new world, players will have to have already completed levels 1 through 6. Another added feature that players had been asking about since the day the game was released was the ability to listen to your own music while playing. Your character will now where headphone when you're listening to your own music now. As of now, the update is currently only listed for the Apple App store and not the Google Play store, so it is unclear if the update will be exclusive to the Apple devices for a period of time before updating the Google Play store. Super Mario Run made its debut in the Apple App store back in December and did not make it to Android devices until March. We'll have to wait and see if the 50% discount gets people to but the game with the newly added features.